After the all the action in the last issue, one member of the Free Women crew is in dire condition and Raven and the rest of the pirates are scrambling to do something about it. This issue is a bit of a slow burner/filler but the slower pace allows for the characters to breathe and deal with everything that’s happened since their fight with Raven’s brothers’ and their pirate army. It’s also filled with emotion and very important character moments and that’s what makes this issue one of my favourites. With Ximena, the ship’s navigator and the love of Raven’s life (for now? ), severely injured, Raven and the crew are scrambling to figure out what to do and where to go next. This is where the series most reminds me of Avatar: the Last Airbender and Legend of Korra. 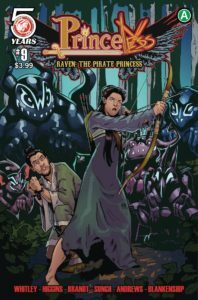 Like those cartoons, Princeless and Raven: the Pirate Princess have a great handle on balancing high octane action with slow emotional beats and making those slower beats hit with just as much impact. Whitley does an amazing job here of framing what is essentially a filler issue with a lot of character and emotional development. Raven’s torn up because of Ximena and Sunshine is torn up because of Raven’s love for Ximena and all the crew members are dealing with the aftermath of their first battle. In addition to that we get a sweet (and completely hetero) love story in the form of a story about Raven’s ancestors. What I love the most about this series, besides the diversity, and the lesbian representation, and the pirates… and the- well, I love a lot about this comic, okay? ANYWAYS, I love the way Whitley organically lays out so many different stories that weave together within the main story. Yes, this is a story about Raven but her crew is just as important and even in one issue, a lot of them get a chance to grow and develop, even within a few panels. 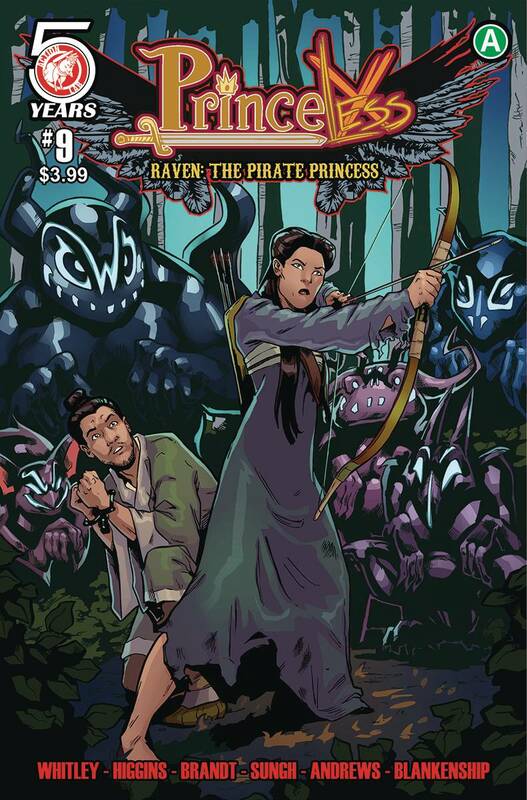 Higgins and Brandt are back for the main storyline while Sorah Suhng and Nicki Andrews handle pencils and inks for the story about Raven’s ancestors. I’ve had problems with William Blackenship’s colours in the previous story arc but they work a lot better in this issue. 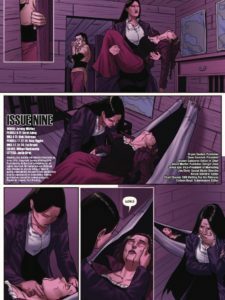 Higgins does an amazing job of capturing Raven’s various stages of grief and heartbreak as she tries to process everything that’s happened to her childhood friend and love. I am particularly grateful for Katie’s everything and Sunshine’s hair style in this issue as well but that is my gay speaking. Much like the writing and pacing of the issue, I really appreciate these quieter moments, and Higgins and Brandt meet the challenge with ease. 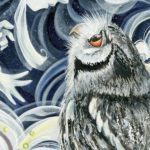 Suhng and Andrews are a welcome addition to the creative crew and the Xingtao ancestral story was beautifully drawn and laid out. BUY. If you’re just catching up through trade paperbacks, you won’t want to miss how the story continues and it’s only going to get better from here!